The NCAA runnerup UCLA men’s volleyball team kicks off its 2018-19 season at the USC Tournament on Nov. 3 followed by a visit to Stanford the following day. The NCAA has compiled the final RPI rankings of the 2016-2017 season. With all but 6 teams having concluded their seasons, this is the final computer-aided rankings of the season before the NCAA Championship tournament in 2 weeks decides the national champion in its truest place – on the court. The NCAA selection committee opted to give Ohio State the #1 overall seed in the tournament, as compared to Long Beach State – who finished the season ranked #1 in both the final RPI rankings and the final AVCA Coaches’ Poll. That choice means that Ohio State plays the winner of RPI #4 Hawaii and RPI #8 Penn State; while Long Beach State plays the winner of RPI-#3 BYU and RPI-#15 Barton College. The selection committee agreed with the RPI ratings in the two teams deserving of at-large bids. BYU and Hawaii rank 3rd and 4th in the final RPI ratings, which makes them the two highest non-conference-champions in the country. 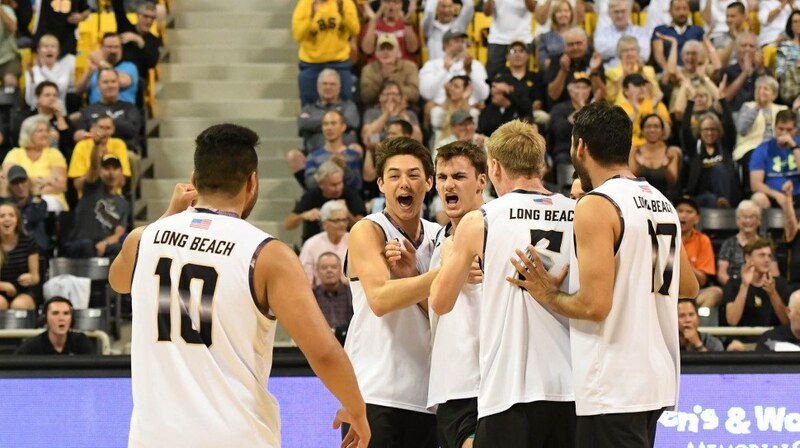 The MPSF winds up with 7 of the top 11 teams in the country. Ohio State at #2, Lewis at #6, and Ball St. at #9 make up the MIVA’s representatives in the top 10. EIVA champions Penn St. finish #8 in the RPI rankings. MIVA runners-up Grand Canyon finish the season with an RPI rank of #12. The RPI system, used in basketball, baseball, softball, hockey, soccer, lacrosse, and volleyball, is designed to help committees select teams for the 64-team NCAA tournament as well as the seeding of those teams once they get there. The index comprises a team’s winning percentage (25%), its opponents’ winning percentage (50%), and the winning percentage of those opponents’ opponents (25%). As compared to the AVCA polls, the RPI rankings are not voted on, but instead are calculated mathematically. The intent is to create a more objective ranking to juxtapose the subjectivity of the AVCA poll, though by their nature there is still some subjectivity as to which numbers matter more than others in their calculations.